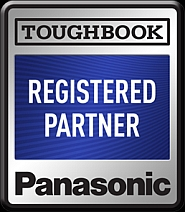 Panasonic Toughbooks are Built from the ground up as a rugged convertible device, the Toughbook can be used at all times, even in extreme levels of damp, dust, heat, cold or vibration. The optimized display technology with extra low reflection rate ensures excellent clarity of display even in bright ambient light. Our Part-Exchange program is only the beginning of the savings when you purchase from us. As a refurbished Panasonic Toughbook dealer, the units that we sell are generally 50% - 70% less expensive than their new equivalents. If you are worried about purchasing a "used" Toughbook, fear not: our used laptops are expertly refurbished and in great condition. We take quality control very seriously, so rest assured if you got it from us. By combining your Part-Exchange with the purchase of a refurbished unit, you'll be able to double, triople or even quadruple the power of your pound-euro over buying new.